In an esport, there are winners and there are losers. As it turns out there are usually far more losers considering there can only be one ultimate winner. Are all teams created equal? Absolutely not. The very nature of any competitive discipline very much suggests otherwise. Even if that’s not something that is palatable to many fans and players alike. Critical analysis is an important aspect of esports broadcasting. 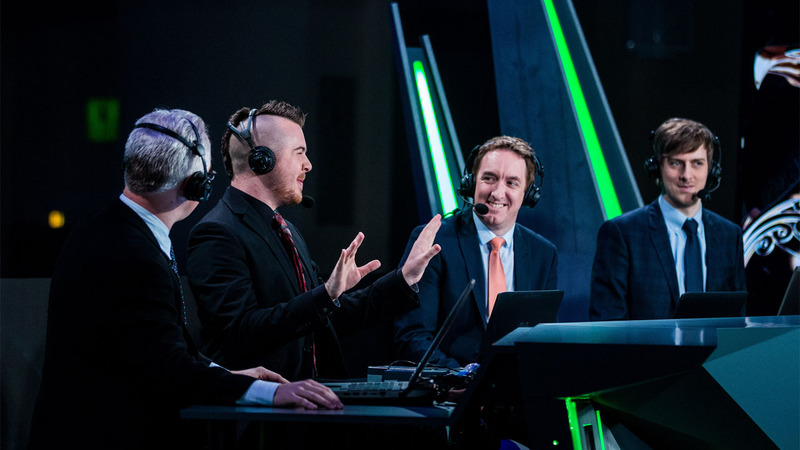 On larger broadcasts from a studio or live venue, the analysis desk segment plays a big role in giving the viewers context to the match they are about to watch. Without context, it’s really hard to be entertained. If you don’t know the stakes of the encounter, how do you know whether the one team winning is any more exciting or noteworthy than the other? Of course, few stream watchers are viewing in a vacuum and have some idea of what’s likely. That doesn’t however account for every viewer. Aspects like the recent history of the two teams and how they are likely to stack up in terms of competitiveness helps fans understand how the opposing sides might fare. Key matchups, players to watch, map choice and how it might affect the outcome all add to the narrative in the lead up to the match. Critical analysis of the players’ and teams’ performance post-match is just as important. The narrative. That’s what analysis panels are trying to weave using their knowledge, with the purpose of entertaining and informing viewers. Usually a story has a clear victor and a clear loser. When it’s a match that matters between top level teams, for the victor to be celebrated and acknowledged for their achievements the loser inevitably has to be minimized in some way. While occasionally a losing team will put up a tremendous fight and lose with honour, that is not always the case. It’s OK to celebrate losers in those circumstances, but ultimately that is still what they are. Losers. If amazing teams and their dominant victories are to be greeted with the proper fanfare and admiration they deserve, we have to validate just how good and capable they are.